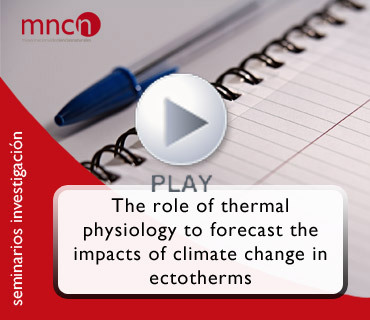 Here, we examine the role that thermal physiology may have in adapting organisms, especially ectotherms, to the changing environments induced by human activities. An important growing concern is to predict the biodiversity impacts of global environmental change by examining the physiological range limits of organism as determinant factors mediating the response of organism to such changes. It has been suggested the hypothesis, based largely in informatic-based inferences, that tropical biota are at the highest risk due mainly to tropical thermal environments are closer to the thermal tolerances than temperates. Additionally, it is also predicted that the compensatory plastic and evolutionary responses are low and insufficient to cope with the estimated level of warming. To test these predictions, we are conducting macrophysiological analyses of thermal tolerance limits, and the magnitude of their plastic response through different larval amphibian communities (temperate, tropical and subtropical assemblages) under a comparative evolutionary framework. Parallel analysis of the thermal (micro) environments allows us to provide a precise assessment of the vulnerability of amphibian biodiversity to receive heat stress during the coming decades. The main outcomes confirm the hypothesis by revealing that tropical amphibians have limited thermal safety margins than temperate, but contrary to expectations, tropical amphibians are able to express a greater acclimatory plastic response in upper tolerances that may ameliorate the consequences of warming.